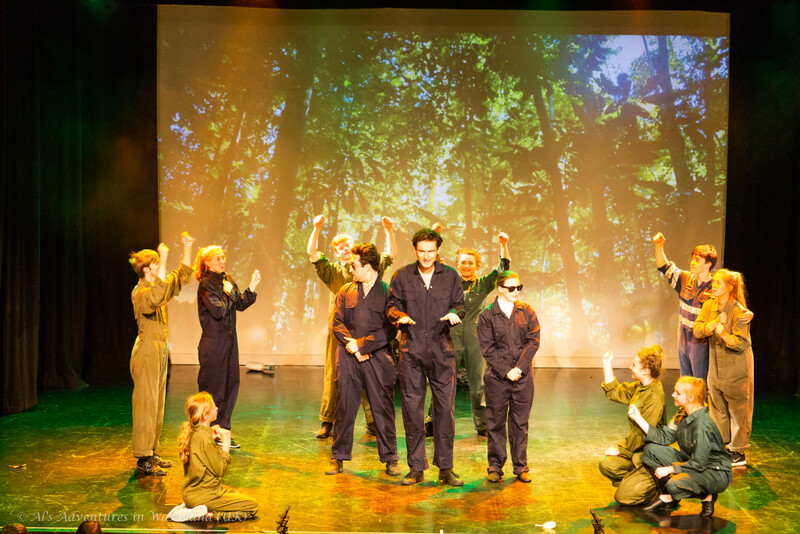 Al’s Adventures in Wasteland is an interactive musical written in English (with the possibility of translating the spoken parts into different languages) for 4 principal vocalists, piano/keyboard, electronic pre-recorded links and a chorus of children (aged 6-12 years). The development of the individual through their learning experiences. There is consideration of the scale of the world issues of ecology particularly with regard to problems caused by pollution. 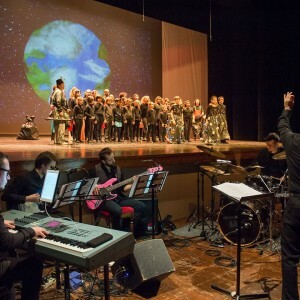 The narration of the story takes a journey around the world and brings with it an experience of the multiple cultures and varieties of world-wide musical styles including: The Amazon Forest, Tokyo, The North Pole, The Desert, even passing through Italy. It brings with it multi-ethnicity and a variety of musical styles. 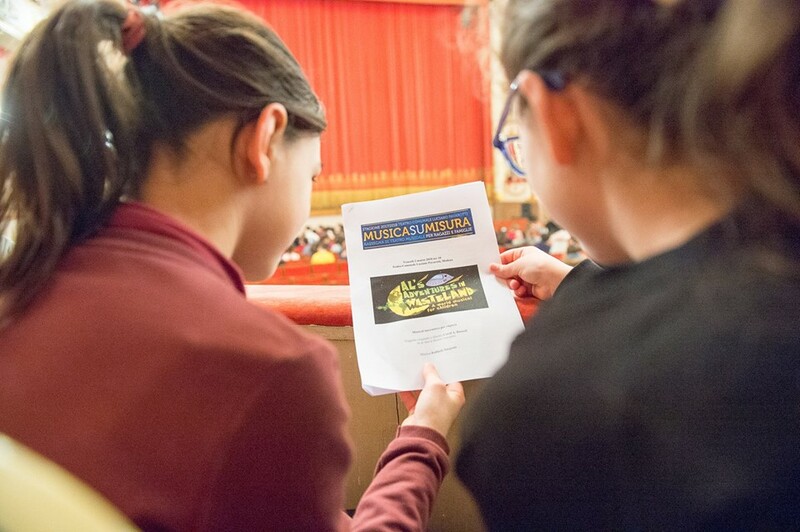 The public audience of children have the opportunity to actively participate in 5 of the musical items by learning them prior to the performance and then joining in all the action. 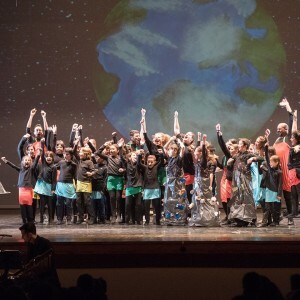 The public participates in: the Canon of Proud To Be In Japan together with the actors on stage, a song from under the oceans in The World Under the Sea, they assist Timmy The Turtle in his protest song, they play recycled wood in the percussion section of Wood Is What You Want! before finally joining in the Finale. As always with the genre of Musical Theatre, it has the power to influence, move through and reflect our society and all that it represents. ‘Al’ offers us the opportunity to experiment in collaboration for the salvation of The Planet and not only to enjoy a musical of diverse music which is also entertaining and fun! The Space Controller, the great guardian of the Universe, has one thing on his mind. He wants to find a ‘Wonderland’ -­ a planet that will be beautiful, healthy, and a model for all others. Al the Alien enthusiastically volunteers for the mission but at first his findings are disappointing with the first planet being ‘all gas’, the second frozen and the third without light. 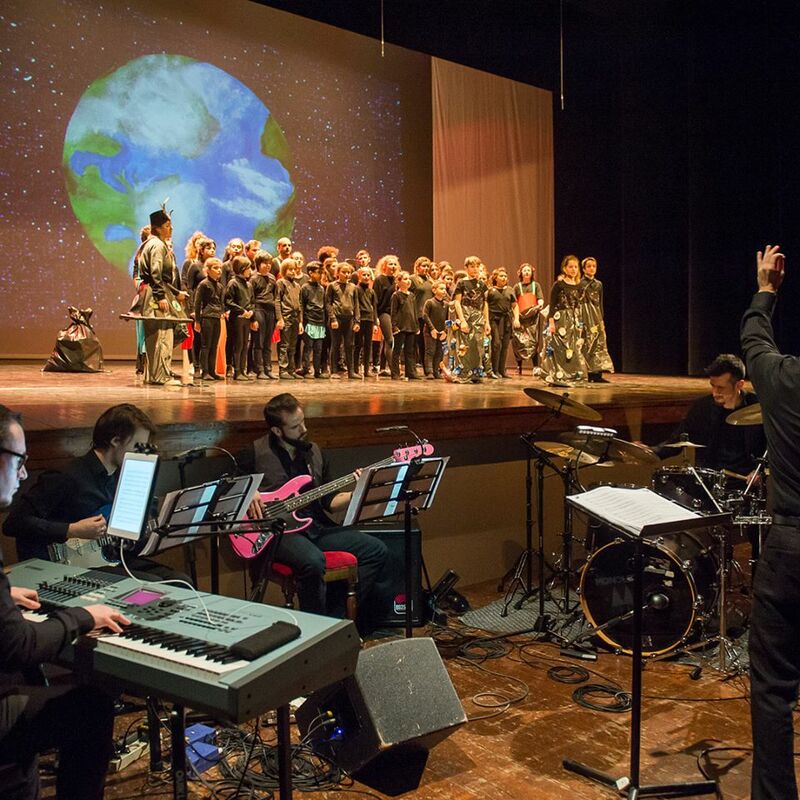 «Al’s Adventures in Wasteland is a wonderful opportunity for children not only to learn about ecology, pollution, conservation and conservation issues, but also to engage in a rich experience of multiple styles of music, hopefully opening a door into music and performance generally. 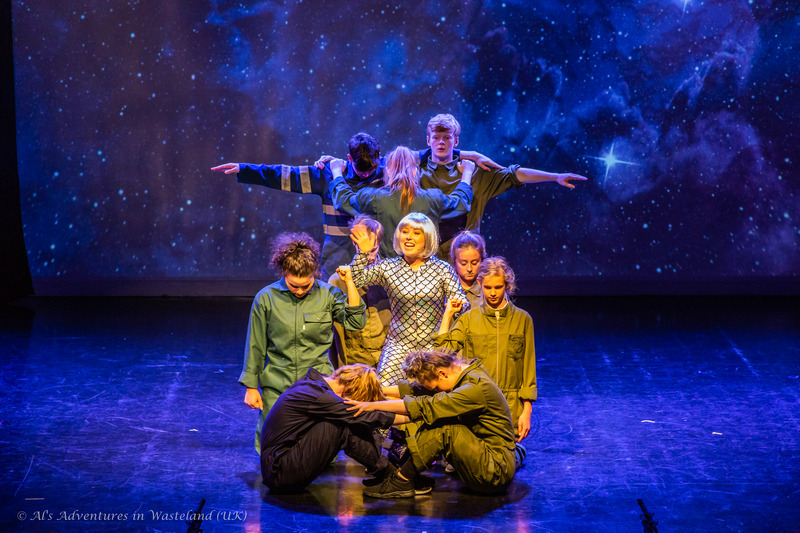 Written in a Musical Theatre style, the project has the power to influence and move us to reflect on our society and all that it represents. 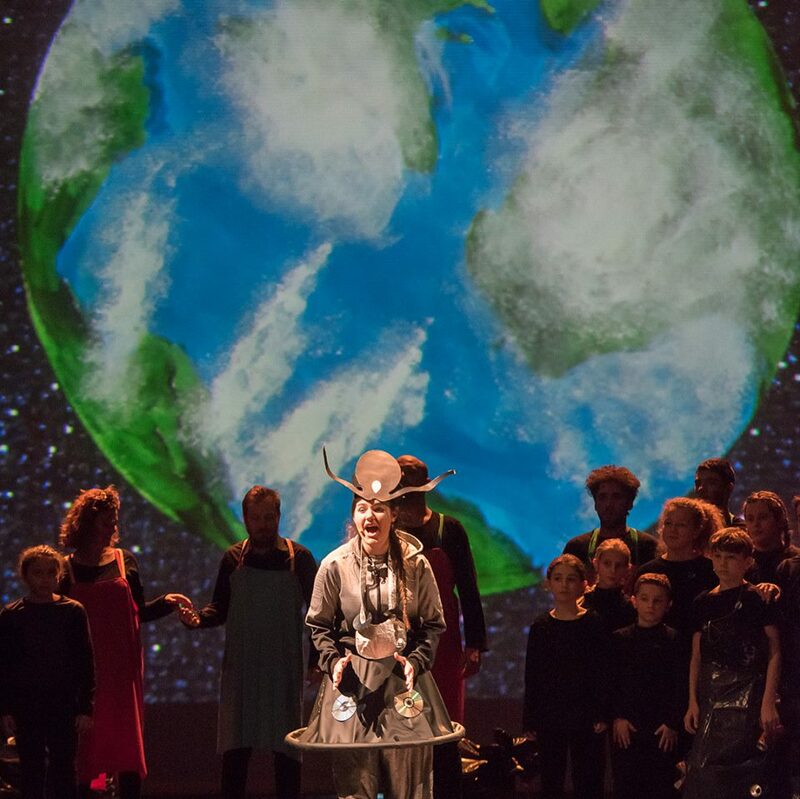 Children and young people have the opportunity to experience 10 different music pieces as the story takes them around the world. 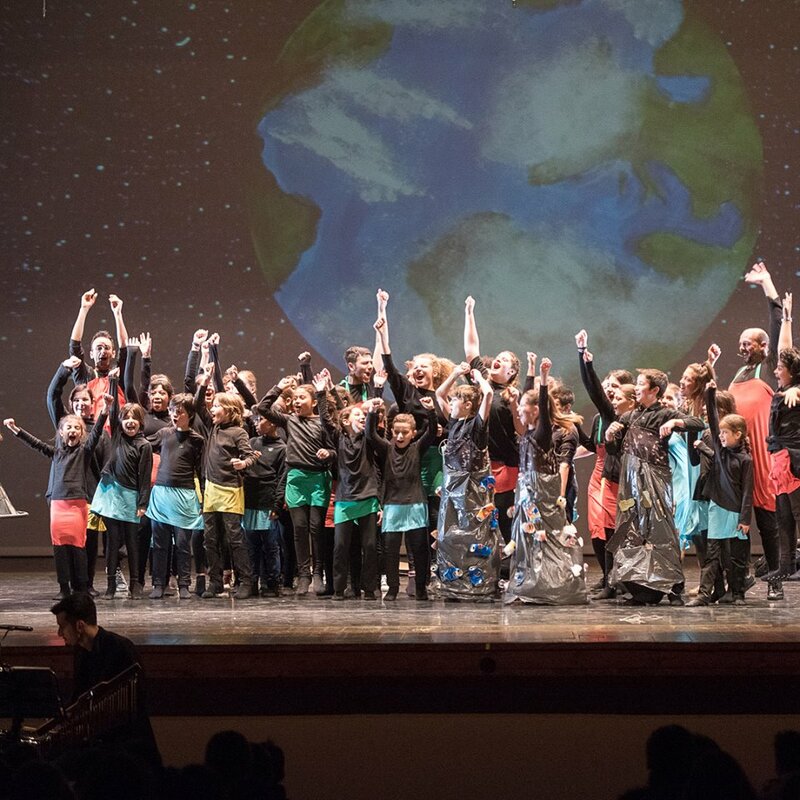 Children participate in five of the songs, using their own hand-made percussion instruments in the Samba style song ‘Wood is What You Want’, they sing a song from under the oceans in ’The World Under the Sea’, the canon of ‘Proud to Be In Japan’ and the Grand Finale of ‘The Children Are Our Future’. 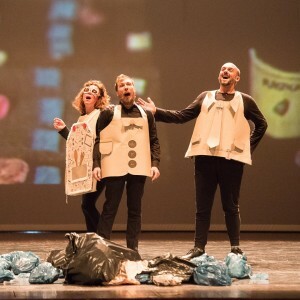 Written by award-winning Italian composer Raffaele Sargenti and award winning British playwright Carol Russell, this work is a joyful experience for all involved.